Waterproofing is the process of making an object or structure waterproof or water-resistant, so that it remains relatively unaffected by water, or resisting the ingress of water under specified conditions. In terms of buildings, waterproofing of the structure, whether this is an existing structure which is being refurbished, or a new-build structure, is designed to create a dry environment, using the guidance of BS8102:2009. Where structural waterproofing is required, i.e. to underground rooms or where lateral penetration of ground water is occurring, Preservation Treatments will prepare a scheme for tanking together with a quotation for these works. 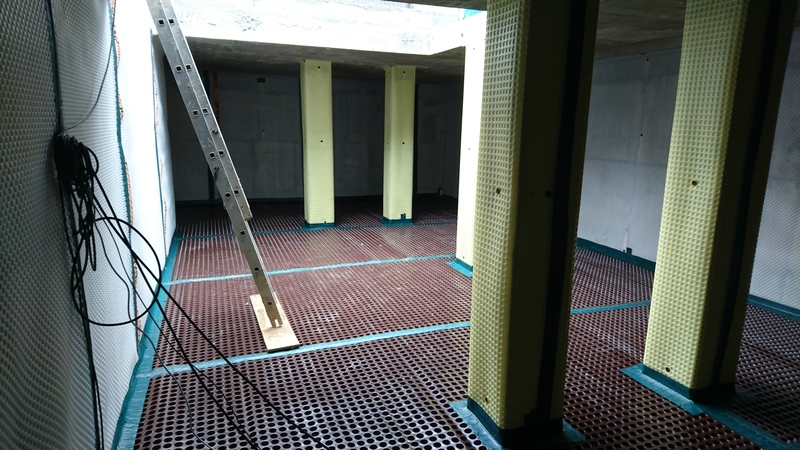 Throughout the project, our Contracts Manager and one of our CSSW Qualified Surveyors will oversee the installation of the waterproofing system which is carried out by our own teams of operatives. Our teams of operatives are highly experienced and receive ongoing training in using the best products and techniques required in a waterproofing specification. We are able to offer various systems including multi-coat specialist renders along with cavity drainage membrane systems. We work successfully with domestic customers, architects, engineers and developers to form new basement areas in new and existing properties. Qualifying works carry a 10 year guarantee. 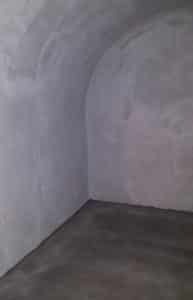 Preservation Treatments also apply Type ‘A’ Cementitious Structural Waterproofing Systems. Type A systems provide resistance to hydrostatic back pressure, and can be applied to wet substrates. These systems are a specialist waterproofing multi-coat application, which are installed with several interim coats to walls, floors and soffits. Once installed the system will maintain a dry environment by creating a physical barrier. Sealing is provided by using construction joints, expansion joints and/or connection joints. A Hypalon Strip bonded with an epoxy resin is used to provide high joint movement. 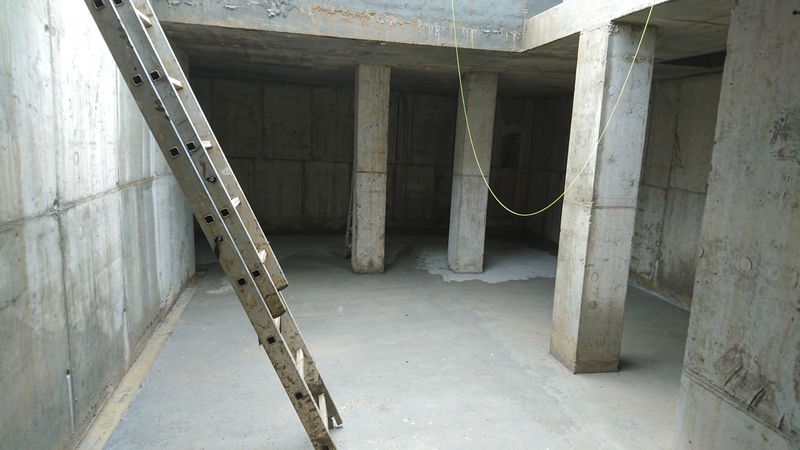 Above is an example of a Type ‘A’ Cementitious Structural Waterproofing System we have applied to a Vault using Sika Pre-Bagged Waterproofing System. The structure will generally be constructed from concrete or masonry, offering only limited protection against the ingress of water by the nature of its design. Protection is therefore primarily dependent on a barrier system applied to the structure (internally or externally) combined with serviceable land drainage where appropriate. The structure is designed and constructed in reinforced or pre-stressed concrete to Eurocode 2; or to BS EN 8500 (to minimise water penetration); BS 8102 or to BS 8007 (to prevent water penetration) dependent on the chosen grade of basement use. The structure is constructed from structural concrete (including diaphragm walls) or masonry to minimise the ingress of water. Any water that does find its way into the basement is channelled, collected and discharged within the cavity created through the addition of an inner skin to both walls and floor. This system will generally incorporate drainage systems and sump / pump units to remove groundwater from the structure. 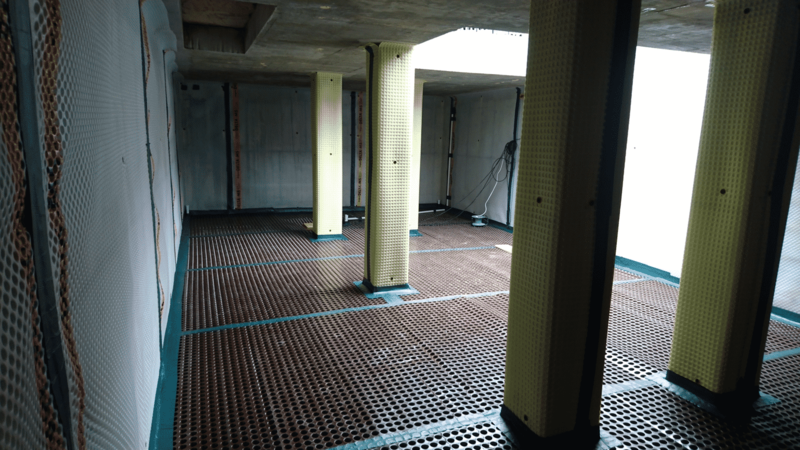 Contact us today to arrange for a surveyor to visit site and provide a quotation for a waterproofing system that fits your needs.